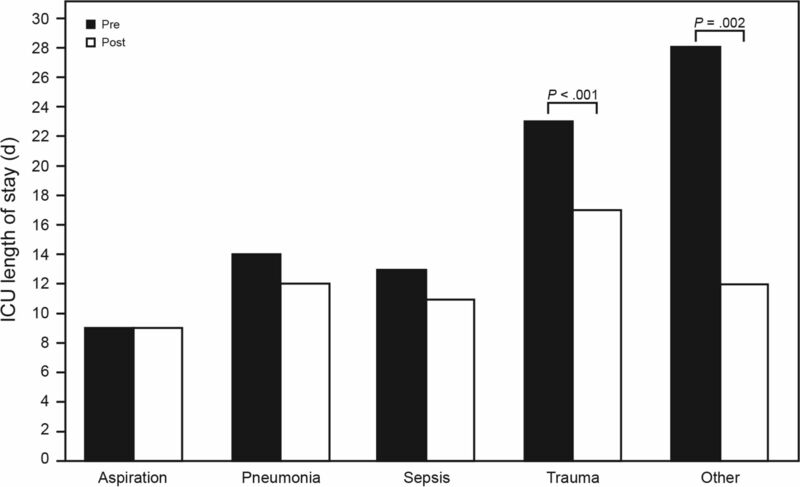 Differences in median duration of mechanical ventilation, ICU length of stay, and post-ICU length of stay between the pre-protocol group and the post-protocol group whose weaning and sedation were governed by spontaneous breathing trials and daily sedation interruptions. 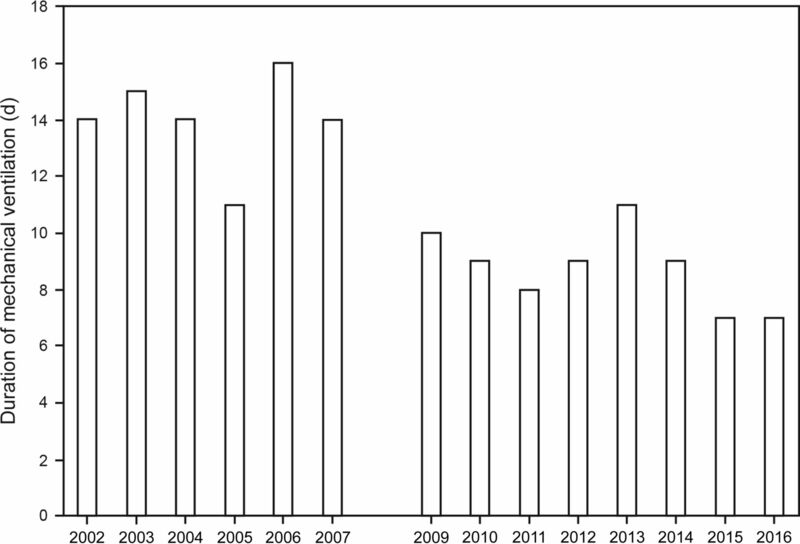 Median, annual duration of mechanical ventilation between the pre-protocol (2002–2007) and post-protocol (2009–2016) groups. 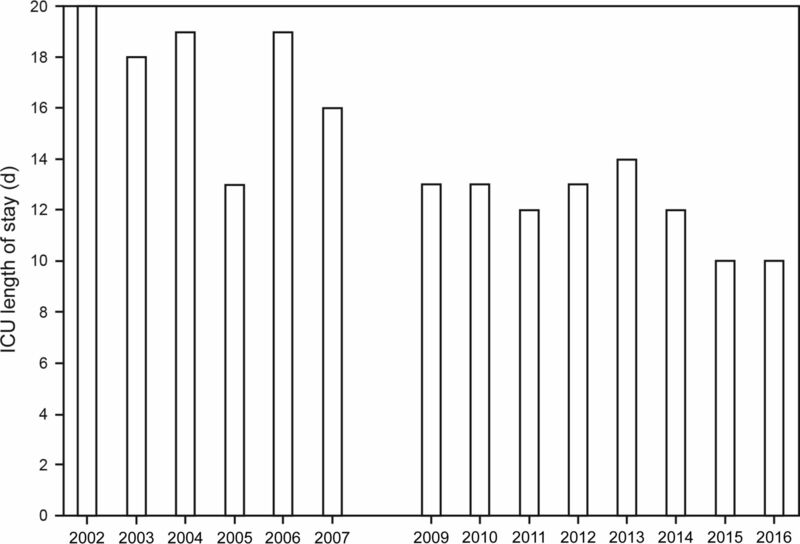 Median, annual ICU length of stay between the pre-protocol (2002–2007) and post-protocol (2009–2016) groups. 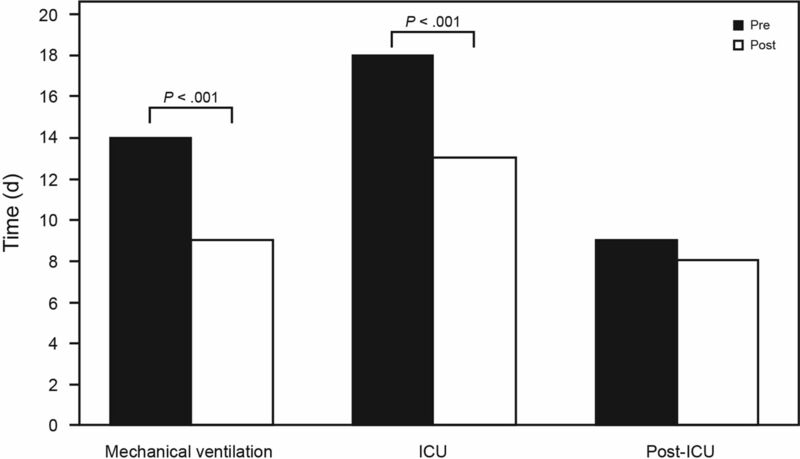 Differences in mechanical ventilation duration between the pre-protocol and post-protocol groups analyzed according to ARDS etiology. Note that sepsis is non-pulmonary sepsis. Differences in ICU length of stay between the pre-protocol and post-protocol groups analyzed according to ARDS etiology. Note that sepsis is non-pulmonary sepsis.